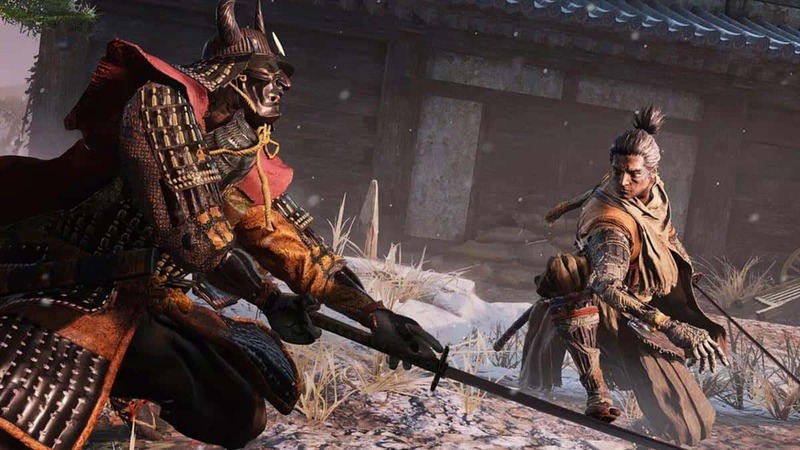 Our Sekiro Demon of Hatred Boss Fight Guide will help you learn everything you need to know about the boss’s attack patterns, moveset, and strategies you should consider employing to beat the boss. 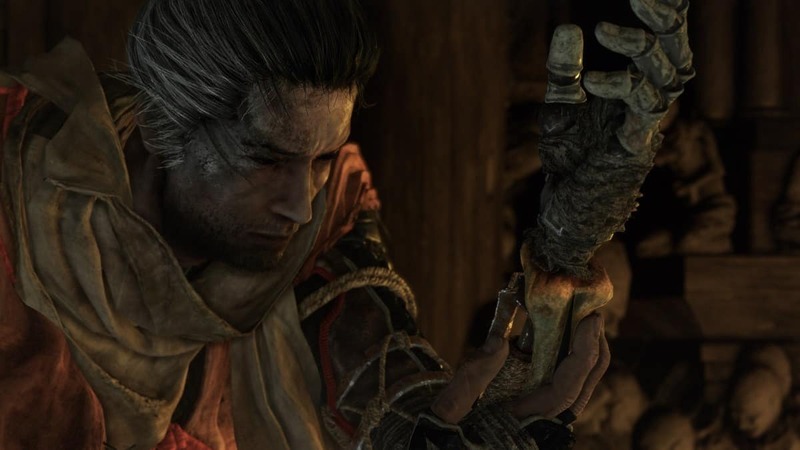 After returning to Ashina Castle from your trip to the Divine Realm, you will find the castle torn apart by an ongoing war. If you proceed all the way down to where you originally fought your first horseman boss, you will find the Demon of Hatred, an optional boss. Unlike other bosses, this dude has 3 Health Nodes meaning you will need to land 3 Deathblows. Here is an easy method I figured out to beat him. It involves sprinting, jumping, grappling, and attacking. Do not try to deflect or sidestep this boss. 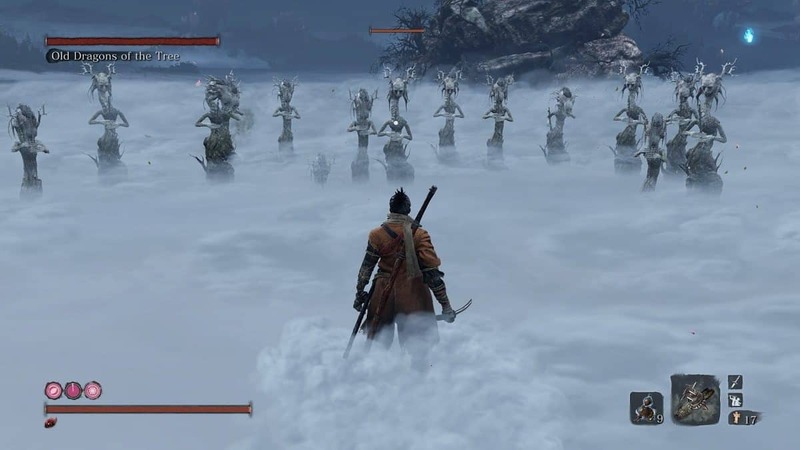 The basic strategy is like many giant bosses in the Dark Souls series. The key is staying very close and circling constantly. A large stomp usually triggers when you are approaching his front. It has a very large tell by his leg lifting up high. You can easily sprint and circle him until he stomps, then get some hits in. A double stomp is a quicker version of the last one. This time, however, the demon stomps both feet. The same strategy applies, only that you have to circle longer. The boss also has a three-hit combo that triggers when you are near the boss’ flaming arm or a bit distant. It involves a swing of the large flaming arm, followed by a backward swing and ending with a stomp. As long as you circle the boss towards the flaming arm, you will keep slipping under the swings. Wait for the foot to stomp down and then start attacking. Explosion AoE is another blatantly tell-able attack. When the demon leaps up in the air, he plans to bellyflop with a flaming explosion. It is a one-hit if you are caught in the flames and if you are not, you still are flung back without any damage from the shockwave. The easiest way to counter this is to get away from the explosion, jump as soon as he hits the ground and grapple onto his shoulder. If you time it right, you will bypass the shockwave entirely and get some free hits in. 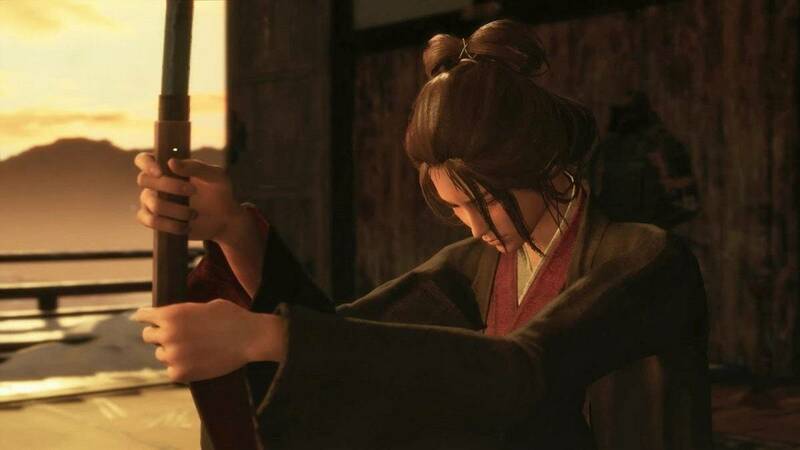 Running Sweep Slash is his most dangerous move in my opinion because of how small the tell is and how it one-shots you. The giveaway to the attack is the red symbol warning you get but the attack launches less than a second after that. To dodge it, simply jump. His body is not the hitbox, his claws are. And since they are on the ground, jumping against his head will not hurt you. Headbutt triggers when you are in front of him. It is very easy to avoid if you are circling though if you are caught, he can chain it into multiple hits. Leaping Fist Pound is a move you will want to avoid by continuously sprinting non-stop no matter what happens. The leap covers a decent bit of the arena. Palm Strike is a thrusting palm strike, evaded by also strafing. A downwards Flame Streak normally triggered when you are at distance with the boss. He lifts his Flame Arm and smashes it downwards with a long streak of flames going across the ground towards you. This can be dodged by either sprinting out of range or circling him closely. The latter allows free hits. Meteor-like Flame Throw is when the demon whips his arms out and throws two lines of meteor-like fireballs in a napalm fashion. Best to run under and past once you see the tell. He will not do this if you stay close though. This has the same attacks as the first phase but with a couple of added attacks. Ranged ones specifically. Flame Carpet Bomb Smash triggers at the start of the phase but he can do it multiple times. The range stretches out far so unless you can get behind him, circling will not help. You cannot stay near him during the phase transition either since it starts with a knockback explosion around the demon. The best way to avoid this attack is jumping as it lands and then grappling onto the demon once the prompt shows up. Fireball Barrage is when the demon starts groovily swaying his head and launching an array of fireballs around you. Sprint towards the demon in a slight zigzag motion to avoid the flames and get in close. He ends the attack with a long drawn pose that is ample opportunity to attack. The rest of his attacks are the same as the other phases so the same strategy applies. Unlike Phase 2, the demon does not have a Blowback Explosion at the start of the phase so you can easily keep striking. Be ready to dodge right after though. Flaming Widespin starts off the third phase. The demon swings his massive arm in a circle thrice. 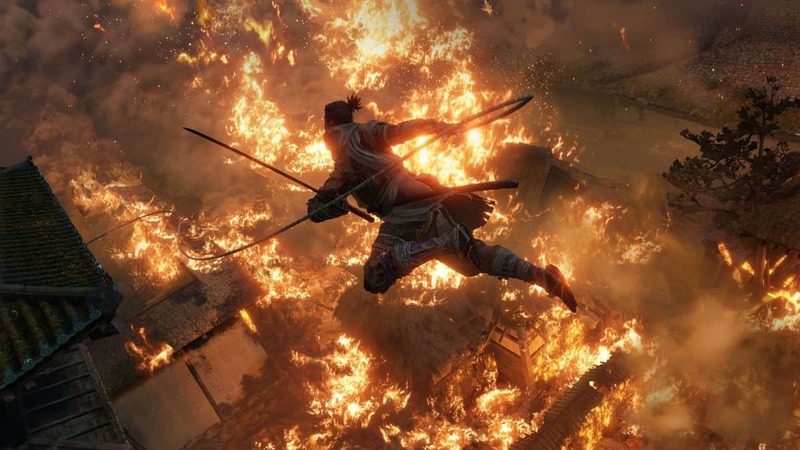 Each swipe can be dodged by jumping, but the arena is briefly closed off by flames. That is good though, it means the boss is trapped with you. 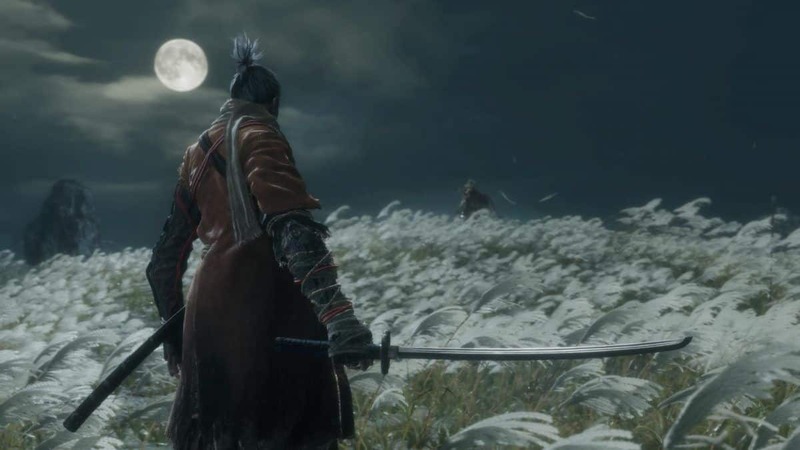 Running Sweep Slash is the same as the initial phase one attack that you dodge by jumping. Only this time, he follows it up by spinning and repeating the technique with added flames. Remember, Okami is faster than everything else in the game. The Demon of Hatred is one of the bosses that displays this the most. Sprint, circle, and jump. You will be good to go! 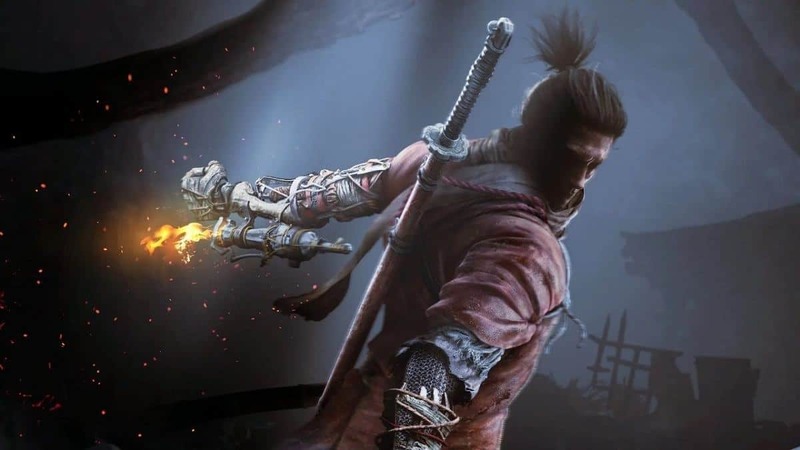 We hope our Sekiro Demon of Hatred Boss Fight Guide helped you. If there is anything else that you would like to add, be sure to let us know!